Bio-identical hormones are specifically compounded to identically match what your body once produced. No horse urine, no fillers. Just pure and simple. Bio-Identical Hormone Therapy is not a one size fits all. When done properly, BHRT is easy, safe and effective. At Mirabile M.D., we’re happy to offer Kansas City bioidentical hormone replacement therapy. Our focus is not simply on prescribing, but on combining the appropriate dosage and delivery method to balance a patient’s hormones. Each person is different, and their needs change over time. This is why it’s important to have an individualized program designed for each patient. 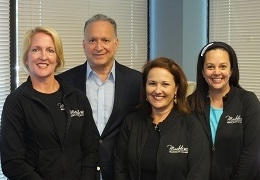 Dr. Mirabile and his team of Nurse Practitioners are fully trained and highly experienced in the field of BHRT. Our team administer’s BHRT in women via creams, troches, injections, capsules and pellet therapy; and in men via pellet therapy. We are pleased to have chosen SottoPelle® as our pellet therapy option. And, Dr. Mirabile is proud to have been appointed the national SottoPelle medical director. First time Mirabile M.D. SottoPelle patients receive 20% off the first pellet insertion! Learn more. While any form of BHRT is a step in the right direction when your hormones are imbalanced, certain methods may work better for you than others. Each person is different, and their needs may change over time. This is why it is important to have an individualized program designed for each person. To setup an appointment or learn more, call our office at 913.888.7546.